Wilkins a physically impressive looking linebacker with a frame that should allow him to pour weight at the next level. 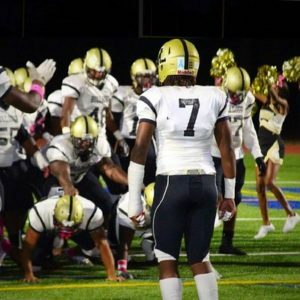 He has outstanding coverage skills for linebacker, and that should be where FBS schools really begin to covet the 2019 recruit. He is aggressive, had a long wing span to get off blocks and also uses his length to rip the ball out. Wilkins has a ton of ability as a WILL at the next level.